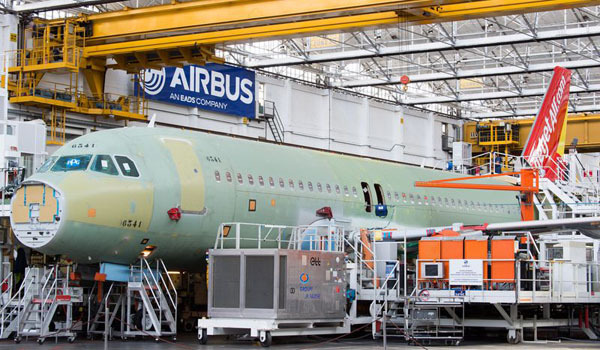 Final assembly of VietJetAir’s first A320 on order from Airbus is now underway in Toulouse, France. This is the first of up to 100 of the best-selling single aisle aircraft that will be acquired by the airline under a deal finalised in February this year. The acquisition plan covers firm orders with Airbus for 63 aircraft, plus 30 purchase rights. In addition the airline will lease seven more aircraft from third party lessors. VietJetAir will start taking delivery of its new A320 Family fleet in Q4 of this year. The aircraft will join an existing fleet of 15 leased A320s at the fast-growing low cost carrier and will be operated on the airline’s expanding network of domestic and regional services.